What are the Bump Blend Modes? 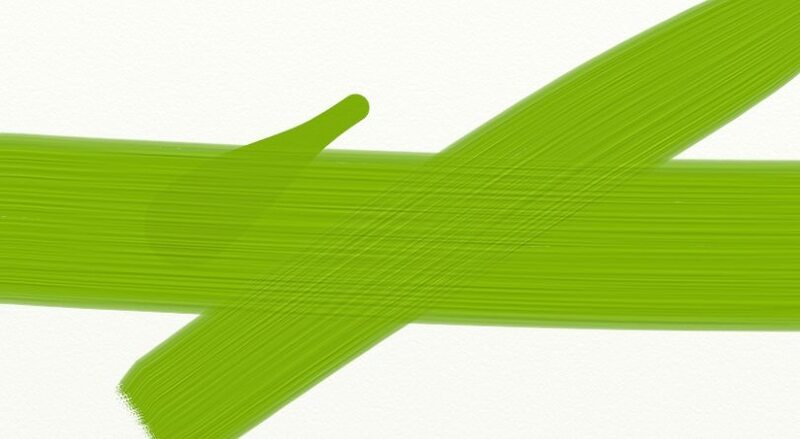 ArtRage allows you to change the Bump Blend Mode as well as the Layer Blend Mode. 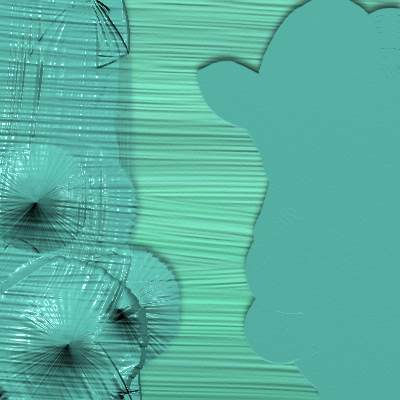 ArtRage’s paint uses ‘bump’ channels to create depth, and you can use the bump blend modes to control how your layer textures interact. Different strokes have different paint depth and normally, painting over a thick oil stroke on another layer will not hide the texture of the paint and the brush marks will show through the colors above. Changing the Bump Blend Mode changes whether the top layer texture hides, combines with, or adds to, the depth of the paint below. Open the menu for a layer in the Layers panel for the desktop or iPad versions of ArtRage to change the Bump Blend Mode. 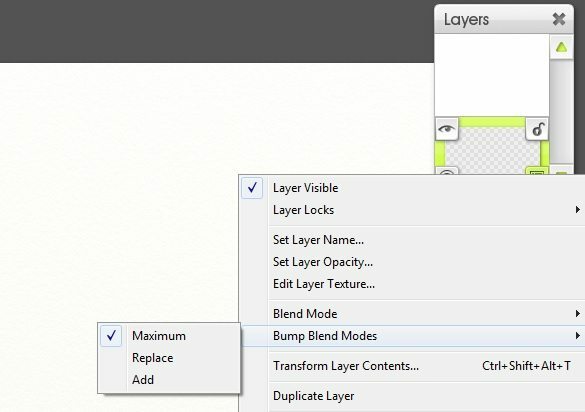 Change the bump blend mode in the layers menu. This is the default blend mode for all layers. Paint will stack on top of existing paint to build up to the maximum possible depth, like layering coats of paint on a canvas or painting over a collage. Thick texture on upper layers will hide the textures below, and thick texture on lower layers will show through thinner paint above. The ‘Add’ mode combines the textures across layers so that they are all visible at once instead of being masked by the upper layers. This is also the same way that strokes from the Oil Brush act within the same layer when Insta Dry is turned on. The difference between Add and Maximum can be subtle, and may only show up noticeably with very textured strokes. 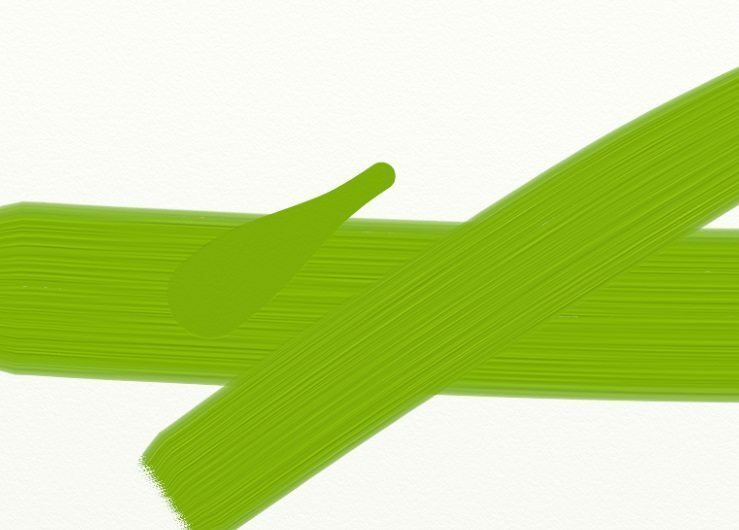 This mode replaces the paint texture below completely, so you can add strokes on layers without the texture below showing through (useful if you want to add a smooth logo over a thick oil paint background, for example).